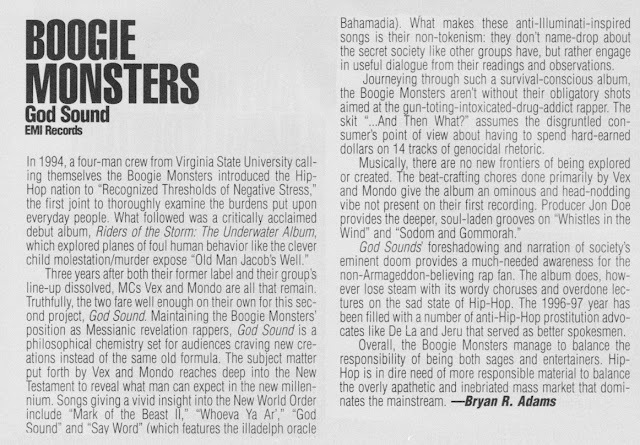 "In 1994, a four-man crew from Virginia State University calling themselves, the Boogie Monsters introduced the Hip-Hop nation to "Recognized Thresholds of Negative Stress," the first joint to thoroughly examine the burdens put upon everyday people. What followed was a critically acclaimed debut album, Riders of the Storm: The Underwater Album, which explored planes of foul human behavior like the clever child molestation/murder expose "Old Man Jacob's Well." Three years after both their former label and their group's line-up dissolved, MCs Vex and Mondo are all that remain. Truthfully, the two fare well enough on their own for this second project, God Sound. 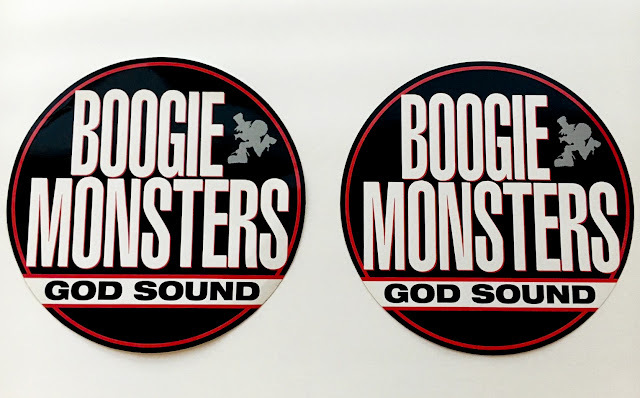 Maintaining the Boogie Monsters' position as Messianic revelation rappers, God Sound is a philosophical chemistry set for audiences craving new creations instead of the same old formula. The subject matter put forth by Vex and Mondo reaches deep into the New Testament to reveal what man can expect in the new millennium ... What makes these anti-illuminati-inspired songs is their non-tokenism: they don't name-drop about the secret society like other groups have, but rather engage in useful dialogue from their readings and observations." 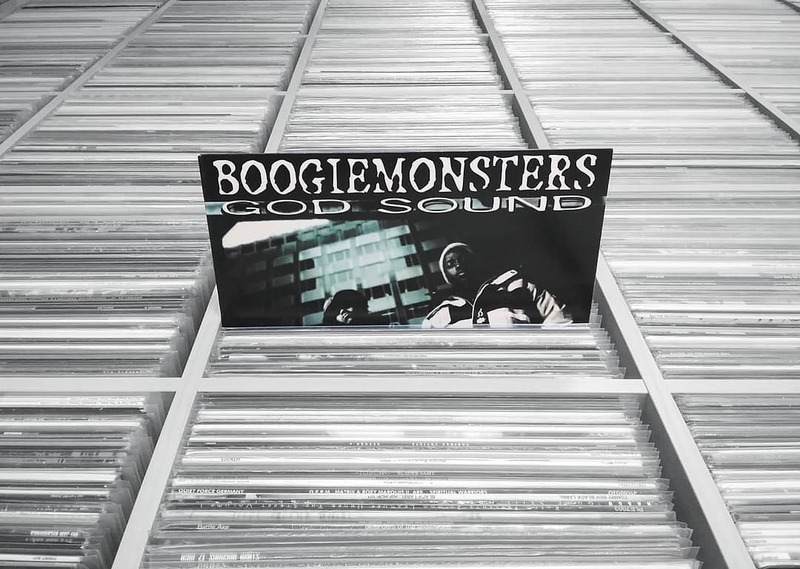 Watch the video for "Beginning of the End"
"Journeying through such a survival-conscious album, the Boogie Monsters aren't without their obligatory shots aimed at the gun-toting-intoxicated-drug-addict-rapper ... Musically, there are no new frontiers of being explored or created. The beat-crafting chores done primarily by Vex and Mondo give the album an ominous and head-nodding vibe not present on their first recording. Producer Jon Doe provides the deeper, soul-laden grooves on "Whisles In The Wind" and "Sodom and Gommorah." God Sounds' foreshadowing and narration of society's eminent doom provides a much-needed awareness for the non-Armageddon-believing rap fan ... Overall, the Boogie Monsters manage to balance the responsibility of being both sages and entertainers. 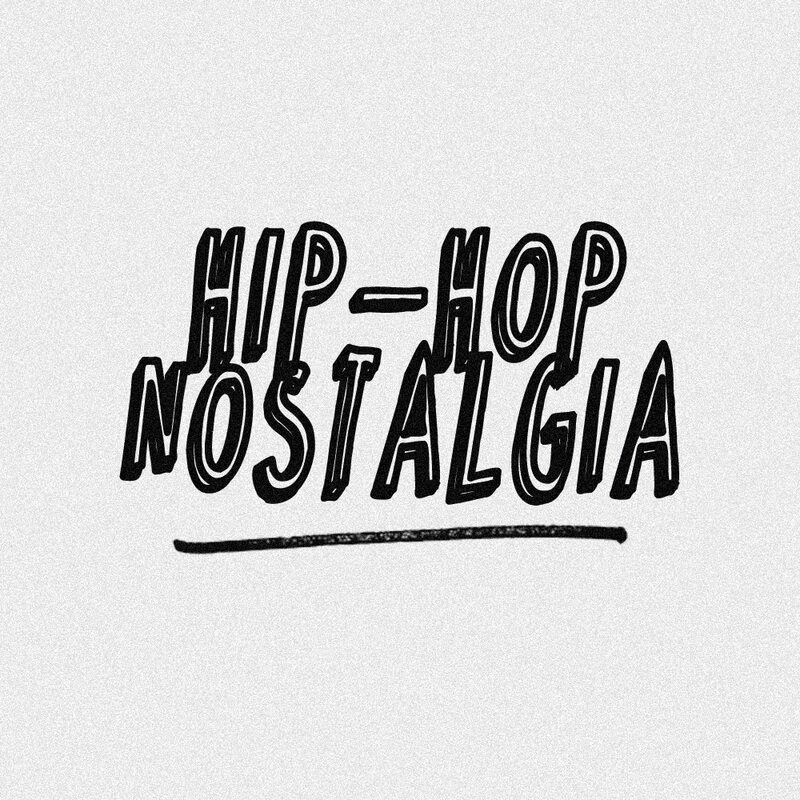 Hip-Hop is in dire need of more responsible material to balance the overly apathetic and inebriated mass market that dominates the mainstream." - Rap Pages, May 1997. 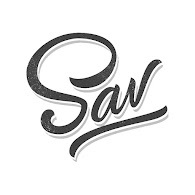 Full review below. (Updated, image by Paul Fess).